You think you know who is running your club? Think again because former Australian captain and Brisbane Broncos legend Gorden Tallis has something to say about that. 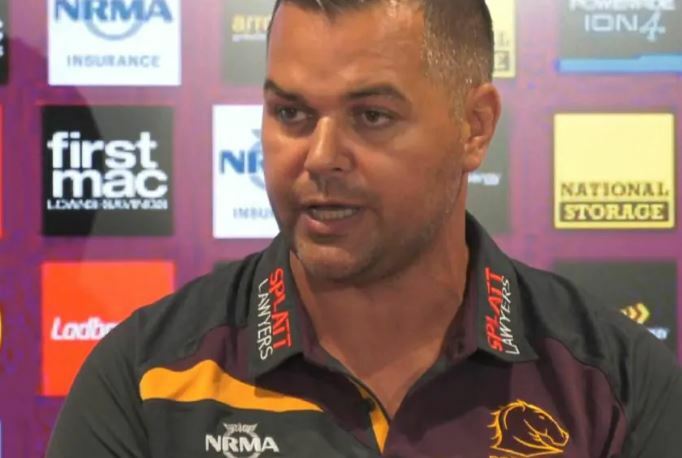 The Broncos are battling and barely keeping their head above water after just four rounds of the 2019 season under new coach Anthony Seibold. Seibold was announced as the new Broncos coach late last year but the whispers had been around for many months before the Seibold announcement was made. Wayne Bennett, according to all reports, knew it too. And it’s all, apparently, down to one man – player agent Isaac Moses. Moses – who has been suspended by the NRL previously – has had his fingers in the careers of mercenaries like Sonny Bill Williams and Israel Folau and was the major player and the manager of James Tedesco, Aaron Woods, Mitch Moses and Luke Brooks before three of them deserted Wests Tigers a few years back. Moses was also behind Canterbury junior David Klemmer’s sudden exit to join the Newcastle Knights. Now Tallis has explained why he thinks the Broncos are withering away after just four weeks of competition. Speaking on Triple M, Tallis talked about the power someone like Moses possesses. “There’s one manager [he] has eighteen players in there [Broncos squad]. The last time he did that was at the Tigers,” Tallis said on Triple M.
“At the moment he runs that club. Not Paul White [Broncos CEO]. Tallis then turned his attention to the organisation itself. “They’ve got a $27 million facility and they all sit around having coffees and walking around the town like they own the place. They own nothing. They’ve won nothing. A couple of my old teammates went to their anniversary and all the highlights they showed were all the old teams from the ’90’s. They can’t show anything from this current crop. Fans will be wondering if and when the NRL and its CEO Todd Greenberg will ever do something about manager’s like Moses.